AIS follows the Write Source series to prepare our students to surpass their Common Core ELA standards. Write Source® provides instruction, practice, and assessment fully aligned to Common Core and College and Career Readiness Standards (CCR) for student success. Starting in grade 5 and continuing through grade twelve, the writing process along with the various forms of writing are presented, modeled, illustrated, taught, utilized, and expanded. 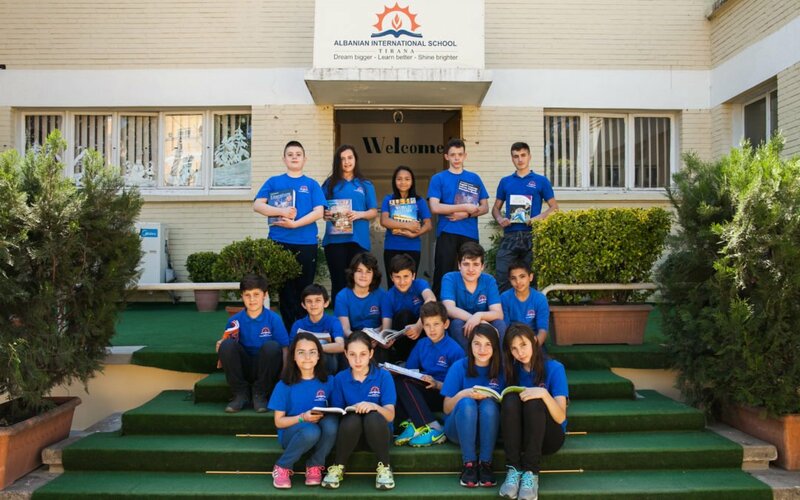 At AIS we place additional focus on informational text reading and comprehension. This emphasis better aligns with the Common Core standards and more fully prepares our students for the advanced rigors of university level writing. In addition to informational texts, the Write Source program focuses our students on all aspects of preparing and composing a quality research paper. AIS utilized the Big Ideas math series for our middle school math requirements. Beginning in the 7th grade, students who meet the qualifications are placed into an advanced mathematics program. This provided students with the ability a more rigorous program of instruction. Advanced students who complete the requirements will be offered Pre-Calculus and Calculus classes in high school. The Big Ideas Math program utilizes a research-based, balanced instructional approach. The program balances conceptual understanding with procedural fluency, as research shows that students benefit from equal exposure to discovery learning and scaffolded instruction. The AIS Science program uses the digital and print Science Fusion Programs for Kindergarten through Ninth (K-9) grade. Science Fusion is a state-of-the-art science program designed for building inquiry and STEM skills and optimized for learning in the classroom or at home, on a laptop, tablet, or using a science textbook. The STEM program in Science Fusion provides real-world challenges, hands-on activities, and Video-based Projects that develop important critical-thinking skills that will prepare the students for success in the workplace and in life. The print, hands-on, and digital curricula provide student-centered options for all students, in any learning environment, and align to the Framework for K-12 Science Education, the foundation for the Next Generation Science Standards (NGSS).